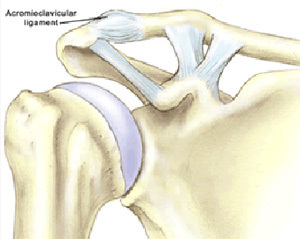 The acromioclavicular joint is the point where the collar bone (clavicle) meets the flat bone at the top of the shoulder blade, known as the acromion. 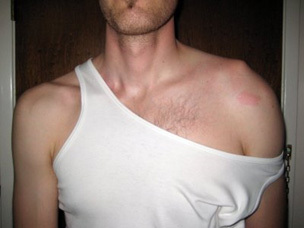 The joint is located on the tip of the shoulder and moves when your arm is overhead or stretching across your chest. The ACJ is held in position by two ligaments (the coracoclavicular ligaments) and cushioned by a thick pad of cartilage, known as the meniscus. 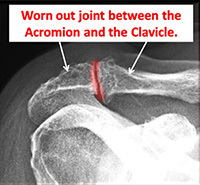 ACJ arthritis: The most common cause of acromioclavicular joint arthritis is wear and tear through over use. For this reason it is most common in people who are aged 50 or older and in athletes who place a lot of stress on the joint – such as rugby players and weight lifters. What is an ACJ stress fracture? 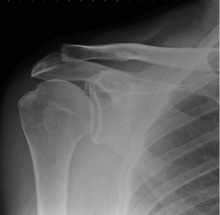 Repetitive overhead activities that put an excessive weight on the edge of the collar bone can lead to erosion or stress fractures (osteolysis). ACJ stress fractures are most commonly seen in athletes such as rugby players and weightlifters and in people whose work includes heavy overhead activities, such as builders and plasterers. What type of imaging tests is done? X-rays are the initial choice. 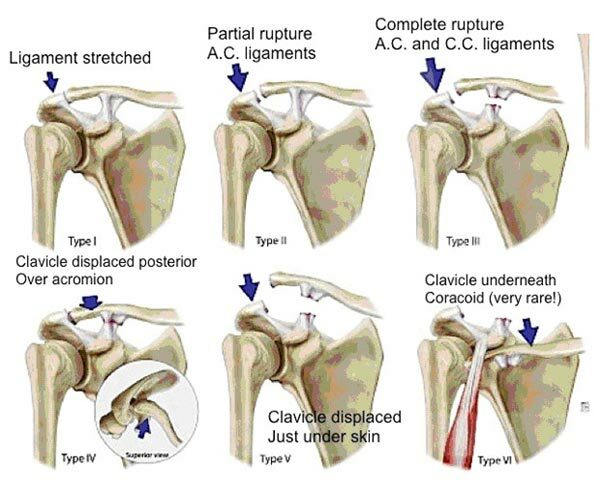 A variety of images may be required to assess the degree of AC joint disruption. How does my doctor treat AC-Joint problems? There is controversy about the success of surgery versus non-operative intervention for grade III type injuries. Grade I and II injuries seem to respond favourably to conservative management. Grade IV, V, and VI separations often require surgical reconstruction. Cortisone injections may provide relief of symptoms for up to three months in expert hands. Currently there is no consensus in terms of dosage, and injections should be limited to fewer than four per year. Duration of analgesia is very variable with ranges of two hours to three months reported. 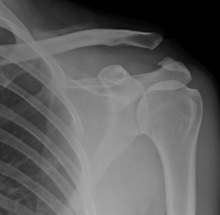 In severe cases of OA or osteolysis, removal of the end of the clavicle may need to be considered. 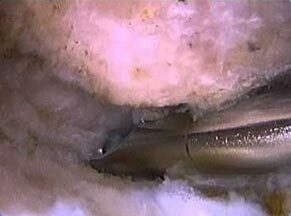 This can be performed arthroscopically. In OA, consider surgery for severe cases where there is failure of response to conservative management after six months.